We provide the premium quality Non Pareil Seeds, which is an excellent combination of sugar starch and lactose. Our Non Pareil Seeds is available in various compositions as per the needs of the users and it varies as per the bulk density of the products. Our medicinal Seeds are made by the process of woster coating and are suitably hardened. Dill Seeds ( Suwa) is used as a medicinal seeds and can also be used in mukhvas. Our company has created a niche in the field of offering Natural Kalarchikai. We are engaged in providing Bracteata Seeds to our clients. It is a very hardy plant that can tolerate drought and shady conditions. It fixes atmospheric nitrogen and recycles soil nutrients. It effectively prevents soil erosion, fertility and weeds. The maintenance of this cover crop is relatively low, and hence it has become very popular. The Kalmegh Seeds (Andrographis Paniculetta) that we offer are primarily medicinal herbs that are highly effective in treatment of malaria. Our line of Kalmegh Seeds is high on demand in the market and has also earned us a reputation of the most prominent Kalmegh Seeds Producer in India. 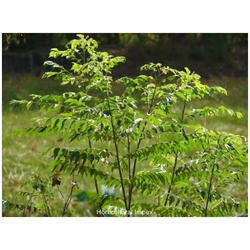 We offer high quality Senna Seeds which are used as medicine. These seeds are used in the pharmaceutical industry to produce drugs.